Page Street Publishing, 9781624145971, 320pp. A horrific explosion levels part of the city and Camryn Kingfisher is the sole survivor. Amidst controversy, conspiracy theories, and threats from government officials, Camryn longs for the truth. But the only person who she can turn to is a transparent boy in a lab coat named Quint. 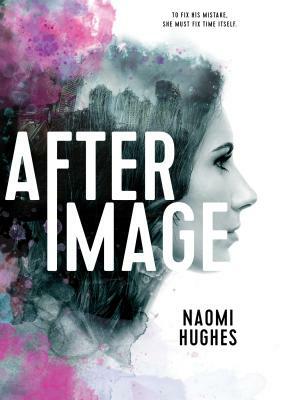 Unsure whether he’s a hallucination or a ghost, Camryn has no choice but to trust him as they become embroiled in a plot that is bigger than either of them realize. In a race where the fabric of time and space is at stake, they must figure out who caused the explosion before the culprit comes back to finish Camryn—and her city—off for good. NAOMI HUGHES grew up all over the U.S. before finally settling in the Midwest, a place she loves even though it tries to murder her with tornadoes every spring. She writes quirky young adult fiction full-time and works as a freelance editor. In her free time she likes to knit, travel with her husband and daughter, and geek out over British TV and Marvel superheroes.